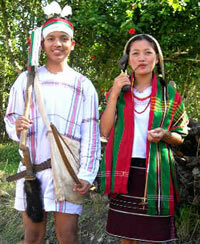 The Tiddim Chin are one among several Chin people groups who have migrated to North America from the northwest state known as Chin in the country of Myanmar. Various factors are causing the Tiddim Chin to become a dispersed people (e.g. natural disasters, government restrictions, desiring a better lifestyle, etc.). Their primary language is Tiddim Chin. Pray God will work through and in the lives of the Tiddim Chin to grow in their understanding Jesus Christ. Pray that Tiddim Chin will be light to the least reached peoples in North America.